This is written to all those younger people out there that are just starting on the path to finding their career. But hopefully anyone can find some helpful advice and insight from it. I’ve never know what I wanted to do for a living. I have never had a job that I felt passionate about. 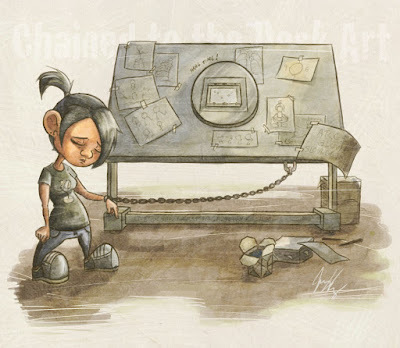 I feel stuck in the job/industry that I am in, chained to it at times but by my own doing. And I don’t want you to end up feeling the same way. I chose to graduate college with a bachelor’s degree in Actuarial Science. When I selected the major 2.5 years into school I didn’t have much of an idea of what an actuary was. I just knew they did all the math behind insurance companies and that it was a highly rated career. I chose the major only because it was my fastest path to graduation and the high amount of money you could make with just a bachelor’s degree. I don’t fully regret this decision because we’ve made things work out but I do think that the biggest mistake I made in college was choosing a major (and life course) based on nothing more than money and getting out of there ASAP instead of something that I thought that I would enjoy doing for the rest of my life. I landed my first job out of college as an actuarial analyst a few months after graduating and was making $58,000 a year with a nice benefit package right out of the gate. But I was miserable there and luckily I got fired 6 months after starting. Two weeks later I began working as a financial analyst at a small division of a large company. I took this opportunity because it came up quick and seemed like a good option to try out. Now just over two years later I am up to $60,500 base salary and bored as heck with my job. It’s now lead me to questioning my career decisions and options going forward. Do I stick it out and seek for early retirement as my only escape plan or do I cut my losses now and try to make a career leap? But my biggest concern is that I haven’t decided what I think my dream job might be. What services would be willing to provide for free (other than run this blog since I it hadn’t brought in a dime for me)? - Do you enjoy your job? - Do you think you will enjoy your current job in 20 years? - List: What types of things do you like? - List: What do you like about your job – what parts do you enjoy? - List: What do you do really well there? To finish off this post I wanted to also point out that sometimes we wonder and stumble as part of the journey, sometimes all we can see is one step ahead of us and we just have to keep going on the course we are on at the time. My experiences have been helpful whether or not I would choose to go back and make changes or not. I was once given a book called The Zigzag Principle that has helped me stay motivated on this roller coaster towards finding my mission in life. I might feel like I’m bouncing all over the place but I have to believe that it’s all helping me to end up where I need to be and with the skills that I need to be successful there. P.S. Another good read that I would suggest to college aged kids (or any of us “kids” for that matter) is What I Wish I Knew When I Was 20.